Last weekend, my lovely Mum and I went to the Mind, Body & Spirit Festival at Earls Court. Our visit was predominantly to see Ruby Wax but when we arrived we joined a workshop by Joe Hoare called’ Wake Up Laughing’. Joe invited the audience to join him in exercises to wake up our bodies and remove the barriers between us. We had to, non-verbally, greet our neighbours and genuinely feel at ease. At first it was a little difficult, but after a while, I got into ‘sod it’ mode and went with it – so enjoyable! 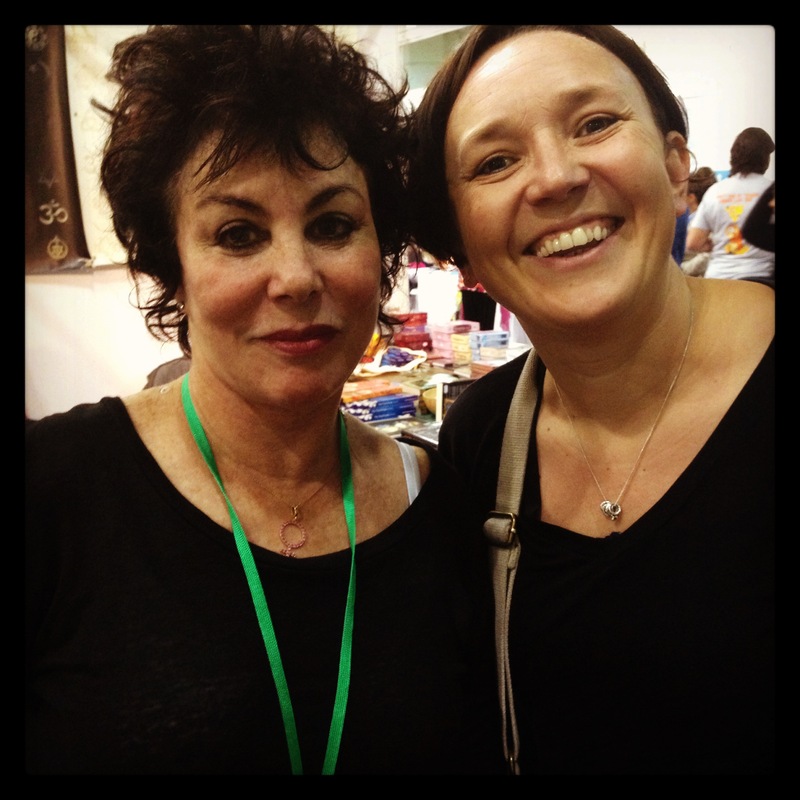 I met Ruby briefly at a book signing before her talk – I think she was a little hassled but agreed to a photo before being pulled this way and that by her assistant with a bluetooth headset! Her talk was inspiring and also a little sad. She was engaging and is clearly very knowledgeable on depression and mindfulness (a subject for another time) but what struck me was that when asked, “Should I tell people about my depression?”, her response was an emphatic, “NO”. Why do we still live in a world where it’s a taboo subject? I had this conversation with my husband and we concluded that as you can’t see it, it’s subjective – much like dyslexia which too has been misunderstood for many years – how depressed you are is a matter of your own opinion. I might say I’m depressed when to you, I’m actually just a little down. Even having suffered from depression, I see others with mental health problems and I feel some prejudiced and lack of understanding. I guess this is just an observation and I, along with millions of others, don’t have the answers! So the title of this blog, ‘Pain is inevitable, suffering is optional’, resonated throughout our day out – both Joe and Ruby quoted it (it was the Dalai Lama who said it, by the way) – it’s similar to, ‘If life gives you lemons, make lemonade’ – roll with the punches, know they’ll be good and bad times, but hey, if you can laugh about it, it’ll all be OK! Categories: Depression | Tags: dalai-lama, depression, joe-hoare, mind-body-spirit-festival, ruby-wax | Permalink.